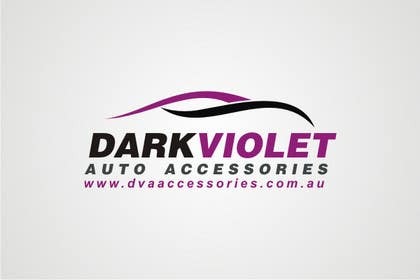 the company will be selling aftermarket vehicle accessories. i am targeting people who love there cars and like to by accessories to make their ride look unique. Hello.. Is it alright to be hand drawn? nice design, but the oval patch style design doesn't allow many options when blending the logo onto banners or signage. i do like your design, however it is very similiar to a few of the other entries i like, maybe you can show me some more designs also? ok. i will submit few designs for you. Done! Please see #45, #46, and #47 and your PM thanks! Contest is now sealed so your creative designs cannot be copied, look forward to seeing more great designs. Also #36 and #39 thanks! Please have a look at #8 thanks! Sorry I just realized a put the wrong # in, #8 is not mine it's #20 . Sorry about the mix up! please leave feedback for #27...Thanks! Hi, im from brazil, my job is number 8, please feedback! 25 and 36! please feedback! the text in the middle isn't doing much for me. I will submit but as I am new to this I would like to ask that you will be needing psd files before or after declaring the winner? look forward to seeing your designs, I would recieve the files after declaring a winner, your designs stay your own up untill myself as a client decides to buy it. Thank you for the submissions, however the type of accessories i sell are not for vans. not the look i am after. hi, to have a better understanding of what your after from your logo, do you mind if i ask, these few questions? What type of logo are you after, a symbolic one? or a lettered one? I want a logo that can be used on different colour backgrounds, but not too concerned, if i like the design i will try to work around it. as for symbolic or lettered i don't know? once i start seeing some designs i will have a better idea of what i do and don't like.